Mobile apps for social services are strange. 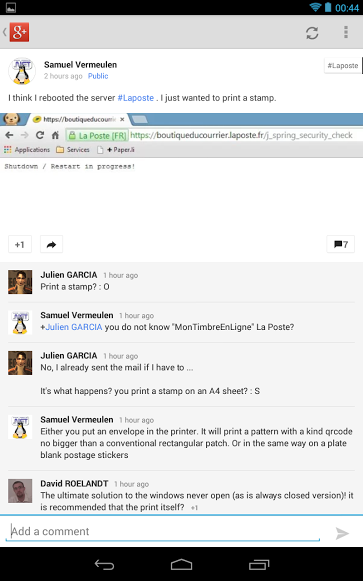 Until now, the Google+ mobile app didn't allow you to copy the text of a post. You had to get the URL of the post, open the browser and copy the text there. I thought this must be a bug until I checked the Facebook app and noticed that you can't copy text. 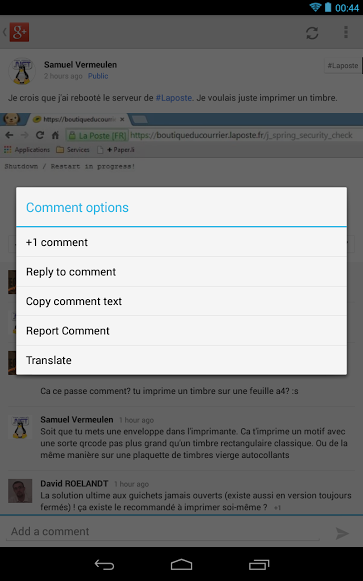 The latest version of the Google+ app for Android lets you copy the text of a post, copy comments, quickly reply to comments, translate posts and comments. While the new features are useful, I don't see why you can't select some of the text and copy it. 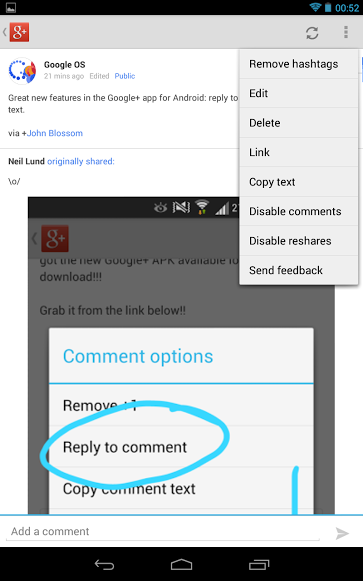 The Google+ app still doesn't support sharing intents. I assume that apps like Google+ and Facebook want to force users to stick to their own sharing features. The Google+ app actually supports sharing intents, but only for your photos. 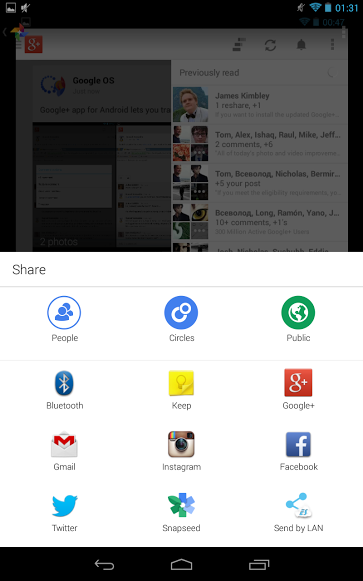 The sharing interface looks different and it includes Google+ options. Google+ Photos has a new icon, it's now called "Photos", it includes photos and videos stored on your device, an Auto-Awesome section and is poised to replace the standard Android Gallery. There's also an updated notification sidebar that shows the notifications you've read in a new section: "previously read". The interface is cleaner, but it's more difficult to hide the sidebar.